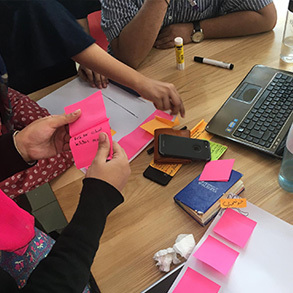 In designing a learning experience, faculty members sometimes tend to emphasize content and lose sight of the people who will go through the experience. 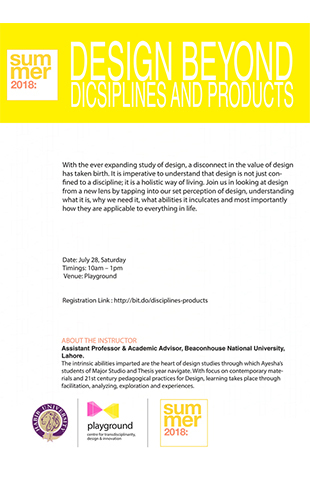 To bring the focus back on the students, a three day workshop on Designing Student Centered Learning Experience was hosted at the playground, on 9-11th August, 2018. 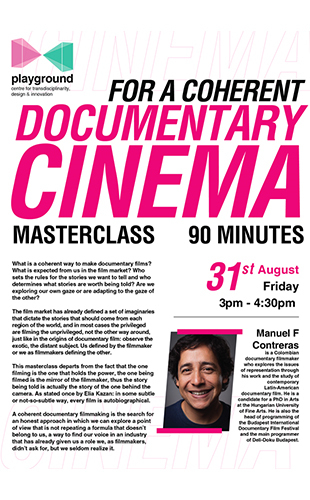 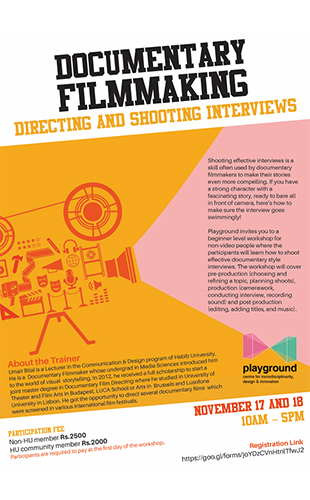 A master class on documentary film was conducted by Colombian documentary filmmaker, Manuel F Contreras, on 31st August, 2018. 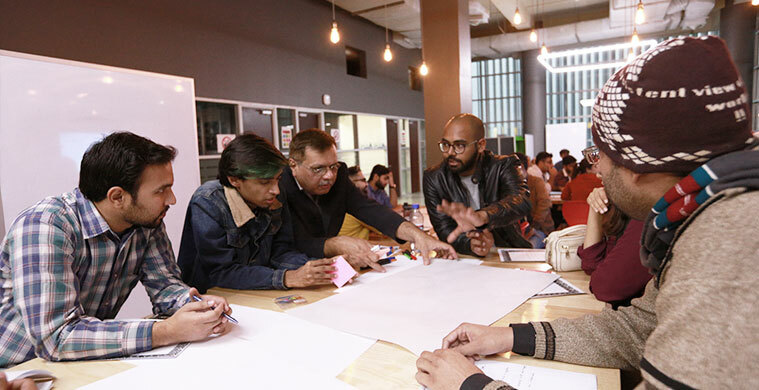 The playground officially opened its doors on Aug 7, 2017, with a week-long design intensive for the senior that immersed them in one of the two challenges: improving pedestrian safety at Jauhar Chowrangi, or revitalizing underutilized spaces on campus. 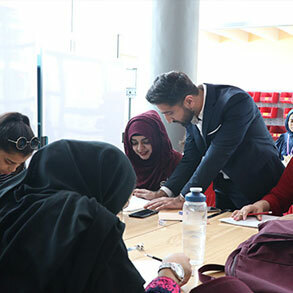 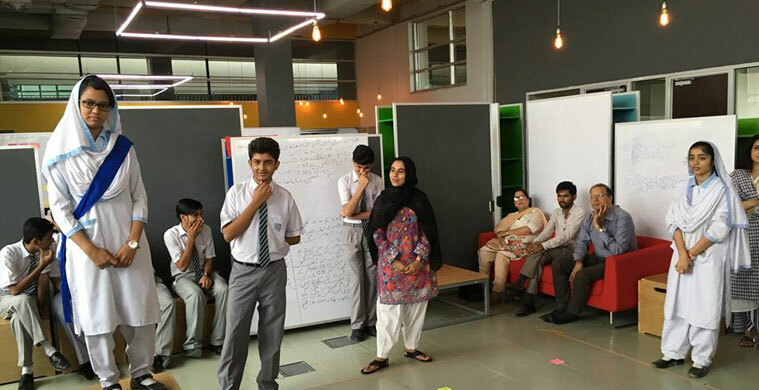 From Aug 15 – 18, a group of 20 Habib students, attended a 4-day Design Thinking workshop conducted by Minahil Asim, working with the ILAD School to learn how HCD methods can help understand complex challenges in the primary and secondary school ecosystem. 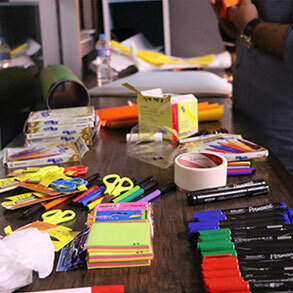 playground, in collaboration with Designist, hosted the first workshop on Design Thinking under New Design, a series of introductory workshops exploring new design capacities and skills. 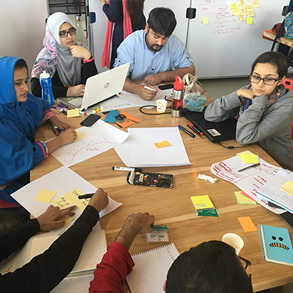 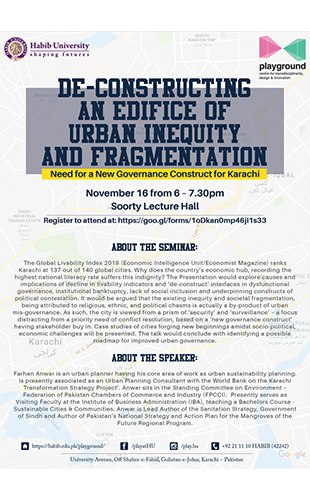 The Sindh Education Department brought a challenge to the playground: communicate a new program to improve 4,560 schools to a skeptical audience. 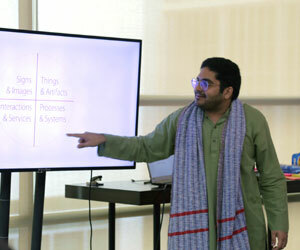 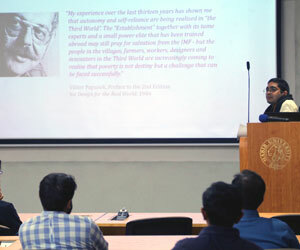 The workshop involved government school teachers, principals, education department employees and project partners. 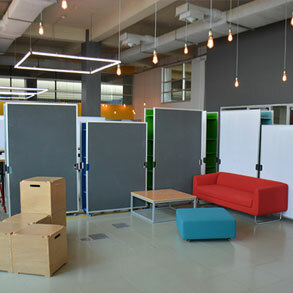 The Social zone includes a lounge and a making area which provides quick access to soft prototyping tools. 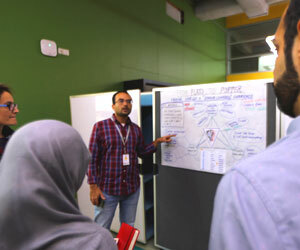 Our faculty and team are trained in the methodology and provide their expertise to all our users. 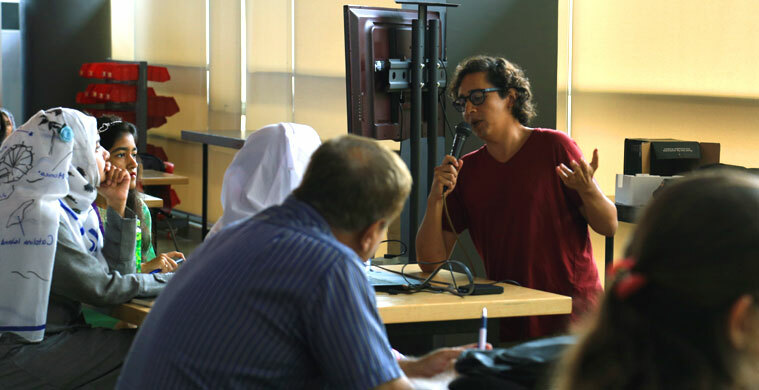 Bring Your Own Challenge (BYOC) is our program for industry and community partners to benefit from Habib’s intellectual and material resources. 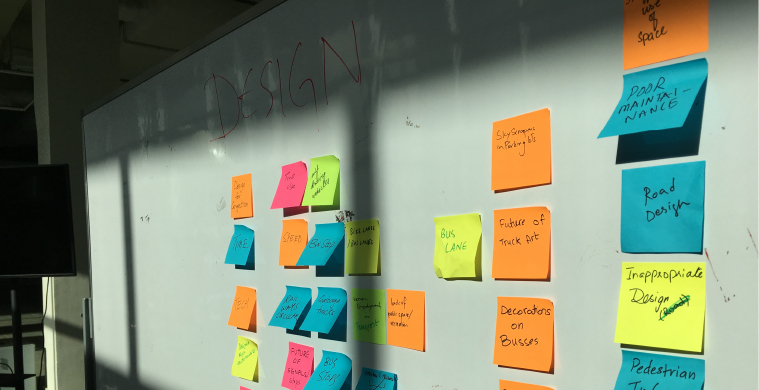 Curious to see Design Thinking in action? 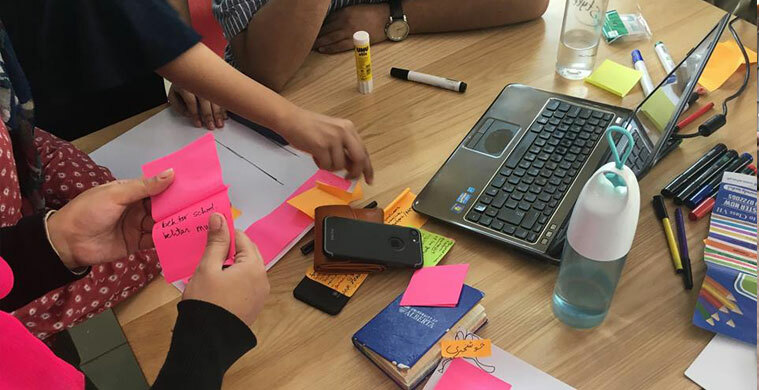 Want to tackle real world challenges using design and making? 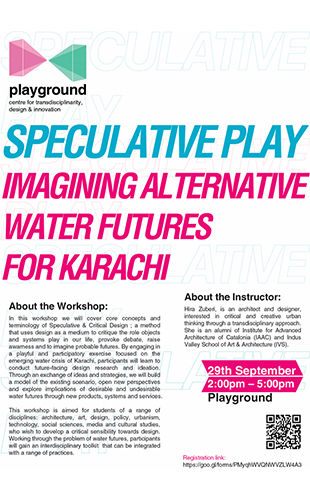 Come join us for workshops. 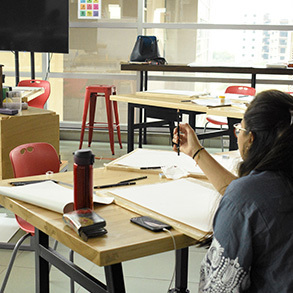 PopUps are the quickest way to immerse yourself into the playground, and explore the various design and making activities we offer.